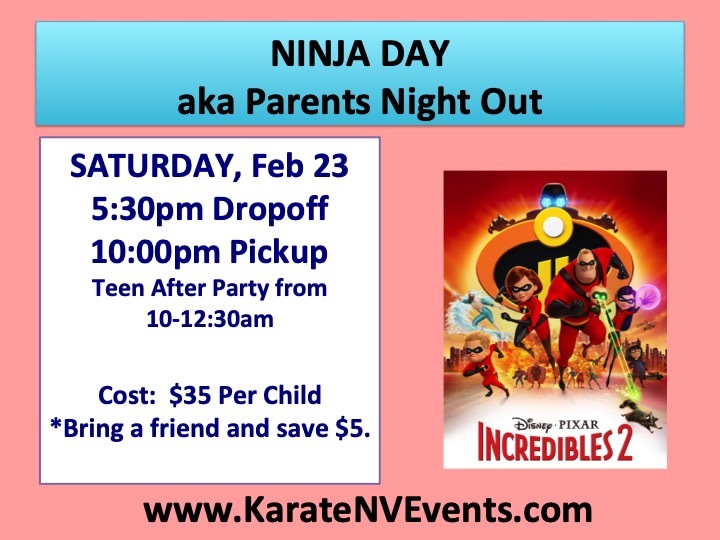 Are you a parent living in Henderson and hoping to find something that not only teaches self-defense to your child, but also the knowledge and skills necessary to become successful in life? THIS is hands-down the best decision you’ll make all year! Stop exhibiting mean and violent actions, such as fighting, hitting and yelling with siblings, friends and classmates. Stop throwing tantrums that usually include yelling and crying in the most extreme cases! and I teach martial arts at CD Young's Karate In Henderson. It doesn’t matter how old your child is, how his behavior is, or how many tactics you have tried to correct this behavior. There is one surefire way to improve your child's behavior while helping him learn the value of self-discipline and respect. Are you sick and tired of coming home, just to be greeted by loud arguments, uncontrollable temper-tantrums and exasperating melt-downs? Are you fed-up with having to force - and even fight with - your child to do the simplest of things, so much so that everyday tasks like eating dinner or getting dressed in the morning become battles that you never seem to win? Do you constantly feel drained, worn-out and completely frustrated because your child doesn’t show respect for authority nor himself? Believe Me, You Are NOT ALONE! Countless parents are going through the same challenges that you are. But the good news is that right now, you have the chance of a lifetime to discover a simple AND easy way to completely turn around your child’s behavior. And I don't mean by using harsh discipline or bribery. This solution will not only improve behavior, it will instill a sense of self-discipline and respect. This is why the effects are long-term and not temporary. I know exactly what you are going through, because as a martial arts instructor AND a parent, I have been there myself. During my many years as a martial arts instructor, I have come across all kinds of children. Gradually, I began to realize that children can be categorized into roughly four types. Which of these describes your child? Type No. 1: The Hyperactive Kid. The child who is restless and unable to sit still during class - and is often labeled the "class clown" by teachers. Type No. 2: The Constant Downer. The child who never seems to get excited about anything - whether its math, English, gym class or even recess. Absolutely NOTHING seems to interest this child and draw him out of his shell. Type No. 3: The Aloof Kid. The child who never does anything you tell him to do -at least not before you ask him a dozen times! He also likes to pretend that he doesn't hear you call his name. Despite the seemingly passive attitude of The Aloof Kid, his behavior can and does cause friction in the home. Regardless of the constant "reminding" and "instructing", this kid just refuses to do what he is told. Type No. 4: The Bully. The kid who's bigger and stronger and loves to pick on those who are smaller, weaker and unable to defend themselves. Seen as a constant trouble maker by peers as well as adults, children who are classified as a Bully actually have great potential. This is because The Bully is actually smart, but uses his cleverness and strength in various forms of aggression such as berating his peers or initiating fights. Naturally, this kind of behavior can lead to a destructive pattern which can make any parent nervous. There IS an answer - and that answer is none other than the Martial Arts program available at CD Young's Karate In Henderson. Expectation #1: Your child will learn to focus better. Most kids who have problems concentrating on tasks at hand are easily distracted and can’t sit still for more than 15 seconds. There is also a LOT of moving around since these children are also relentlessly energetic and restless. Once your child becomes part of this life-changing program, some of the positive changes that you can expect to see are homework being completed without your supervision, chores being done WITHOUT you asking or giving reminders and conversations being initiated. If these changes sound too good to be true, then give my class a try and prepare to be surprised. Expectation #2: The desire to succeed will manifest itself. For loving parents like you here in Henderson, being able to see their children do well in life is truly the greatest reward that they can hope for. Martial arts programs such as the ones taught at CD Young's Karate In Henderson provide children with a fun way to learn a skill that has been practiced since ancient times, while simultaneously teaching them that their mind is their biggest asset and that values like self-discipline are important in life. Expectation #3: Following instructions will become second nature. This is a huge plus for any child who has ever taken martial arts, as well as for his parents! If your child has trouble following instructions, then this alone is reason enough to give my program a try. Expectation #4: A sense of respect will be instilled in your child. Although martial arts is a contact sport, respect is ALWAYS the most important principle enforced. Your child will develop a love for self-respect followed by a desire to respect others - EVEN when this respect is not reciprocated. Expectation #5: Your child's fitness level will greatly improve. Child obesity is on the rise. In fact, children in many parts of the world are heavier and lazier than ever! But don’t just take my word for it… check out what other parents in Henderson have to say! I am a 53 year old woman. I began taking Karate classes at CD Young's Karate In Henderson in September of 2012. I started as a white belt, as everyone does. In the beginning I reasoned that Karate would be a good physical outlet for my well being. Before long I recognized so many more benefits. I began to notice a growth in my self confidence, along with a sense of accomplishment which sparked a feeling of pride in my achievements. I began to have higher expectations for myself. 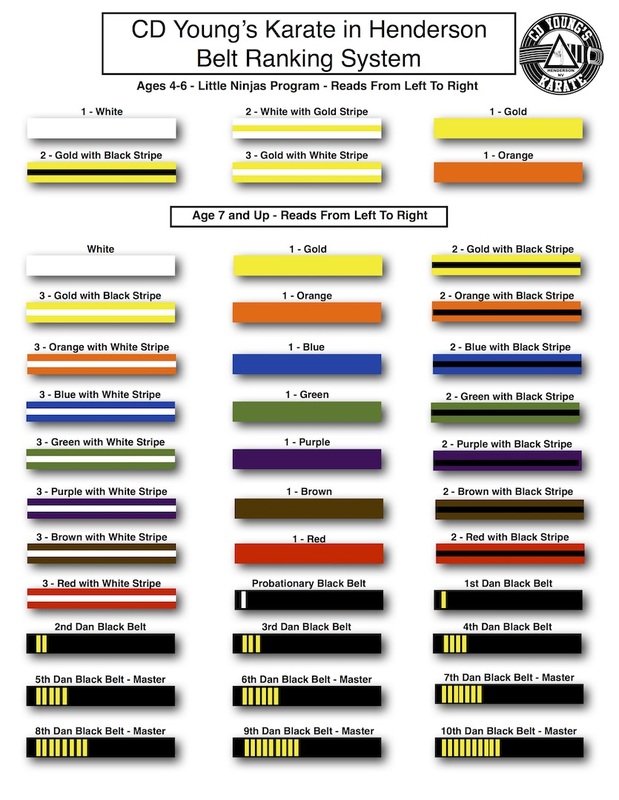 I started to push myself towards goals and on Feb. 2, 2013 I earned my yellow belt. That is when I realized that Karate is much more than a physical work out. It is a joy to witness the level of respect between the instructors and the students. At any age, young or old, I am a firm believer that Karate teaches focus. It helps with self confidence and self-esteem and it pushes you to set and reach your goals through perserverance, and it all happens in a fun atmosphere with instructors that are dedicated to show you how to achieve such self growth. -Jill B. & 14 have grown under their training and guidance. Also they have a great adult program. I'm 37 and enjoy going there on a daily basis to help with stress and also to help get back in shape. Now that you’ve heard other parents' testimonials, you should be convinced that the martial arts classes here at CD Young's Karate In Henderson are exactly what your child needs. If you're like most parents, then you’ve probably tried numerous techniques that unfortunately did little to fix your child's difficult behavior. Now you can rest easy knowing that you are FINALLY going to get the help that you need through my martial arts program at CD Young's Karate In Henderson. Bully Prevention Kit: if you watch TV, listen to the radio or browse the web on a regular basis, then you probably know that bullying is everywhere. Heck, bullying even takes place in the NFL. With this bonus, your child will receive a bully prevention kit. So, What Are You Waiting For? The Chance to Change Your Child’s Life Forever is Waiting for You! PS: What I offer at CD Young's Karate In Henderson is a REAL opportunity to change your child’s life. This is your chance to bring out the best out in your child. PPS: You aren’t going to find any other class or program in Henderson that comes close to the results that my martial arts program will deliver for your child. This one-of-a-kind program gives you the most effective way to turn around your child’s behavior so that concentration, self-confidence, respect and obedience are no longer are problems. Amazingly, these changes may appear in as little as a few short weeks. Are you ready to get started? If so, don’t wait another second. Get Started today for martial arts classes at CD Young's Karate In Henderson and see the results in your child forever! Try your first 30 days and take advantage of our 100% money back guarantee.